We have just started the new year. One of the most common new years resolutions is to work on the house. What better place to get some renovating done than in the kitchen. 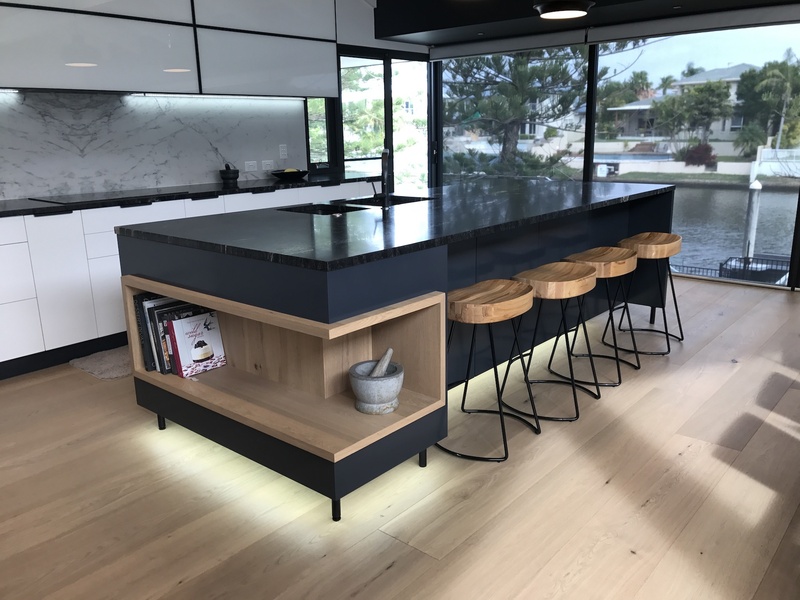 At BJF we have been creating dream kitchens across the Gold Coast for many years, so we thought we would share some helpful tips. These are the things you should be considering before you settle on your renovation. Use this guide to get yourself renovation ready. Sounds simple right? But too many people come to us asking for something incredibly fancy, with all the bells and whistles. Yet they forget that their kitchen has to be used to cook in. They clutter the space with unnecessary features. Although you should be designing something that looks good, creating a productive space is vital. The first thing you need to ask when renovating is how do you want to use the space. What is working in your current space and what isn’t? Your cooking habits significantly impact the complexity and scope of your kitchen’s requirements. To be honest this should be priority number one. It is one of the most important considerations before you remodel your kitchen. You should be asking how you cook? Are you a regular cook? Do you just need the basic working triangle and an average amount of countertop space? Or maybe you are passionate about baking so need to accommodate for that state-of-the-art oven that is going to take up valuable space. If you are a regular cook, your kitchen needs to be able to keep up with demands of regular cooking. 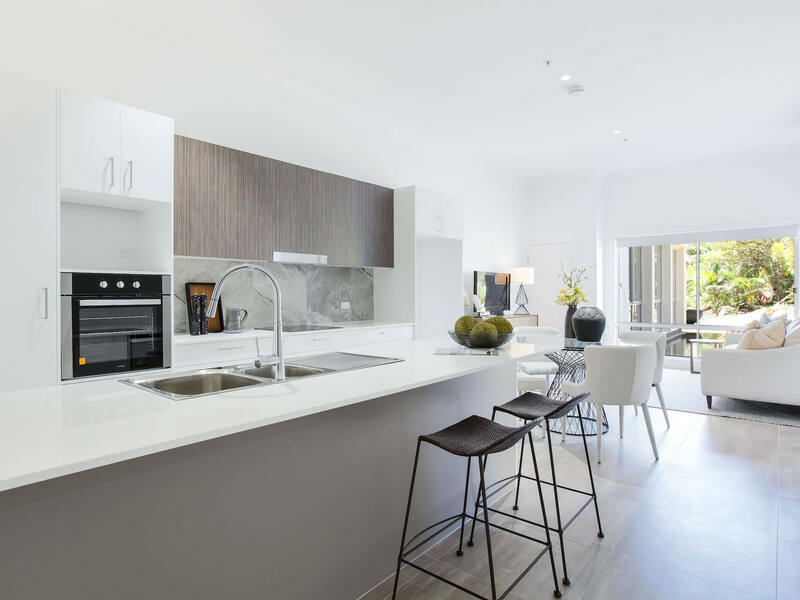 Maybe you don’t cook at home frequently, in this case you can go budget on appliances and can make use of more living space or fancier cupboards. Avid and active home cooks usually have a stash of pots and specialised cooking equipment which require more storage space than the regular ones. If this is the case for you it is important to make the most of your space. You can use clever hanging techniques and other creative storage methods to get the most of your kitchen. There are many ways you can store apart from the traditional use of cabinets. Sometimes it is better to get creative with storage than to just fill the space with a lot of bland cabinetry. This a way that you can personalise the space to your own ideals. The kitchen is an inherently dangerous place. Many accidents from fires to cuts take place in the kitchen. That is why it is important to make sure your kitchen has safety built into it. In most countries, kitchens are the most prevalent place of injury. It makes sense, there can be hot, slippery and sharp surfaces all within close proximity. Ensure that you have covered the safety aspects during your renovation. You should keep electrical switches and lighting fixtures away from water sources. Choose safe edges for all of your benches, whether fully rounded or smoothed. Also, movable islands and carts should have brakes installed to prevent accidental movement. In addition, use slip-resistant tiles or non-slip mats. This may seem like common sense but it’s easy to get caught up in other aspects of the kitchen and completely forget the importance of safety. A kitchen designed with ergonomics in mind will help minimise safety hazards and relieve the tension caused when you cook. The objective of an ergonomically designed kitchen is for you to perform cooking tasks easily without straining yourself. This can be accomplished by following specific design principles, such as the working triangle. As well as basic design principles there are other things to work on. For instance, you should consider incorporating more pull-out drawers, since you can pull the drawers all the way out to reach items in the back without having to reach all the way inside. Customised counter height to your needs so that you do not have to stoop or stretch while working at the counter to prepare your meals. Investing in pull-down shelves so that you can reach items in the top cabinets easily without using a step stool. Making sure everything works for you and your body will help in the long run after hours of cooking. Choosing the right materials for your kitchen comes down to a few factors. Most importantly are form, function and price. Identify your budget and then look at what is important aesthetically and practically. Theses days there are a huge range of materials to choose from. 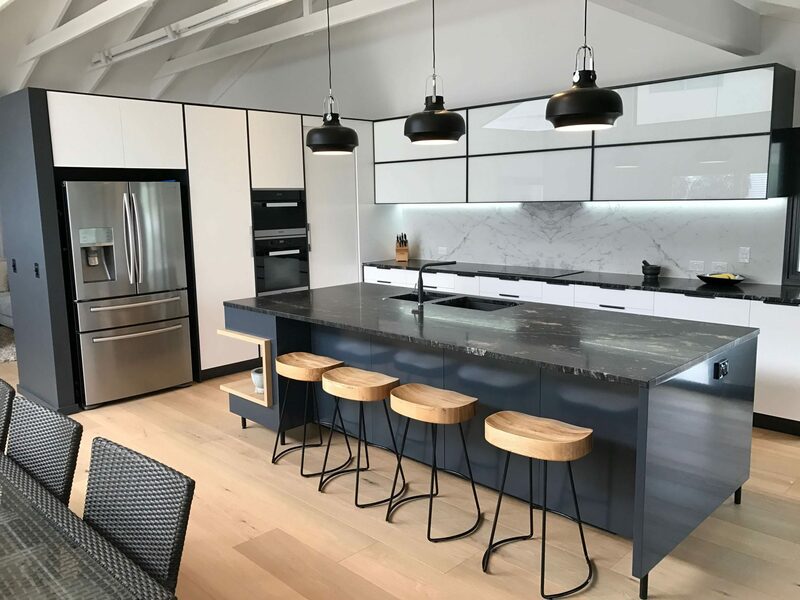 At BJF we have renovated more kitchens than we can remember and have seen all the trends come and go. We know what materials and styles are going to last. 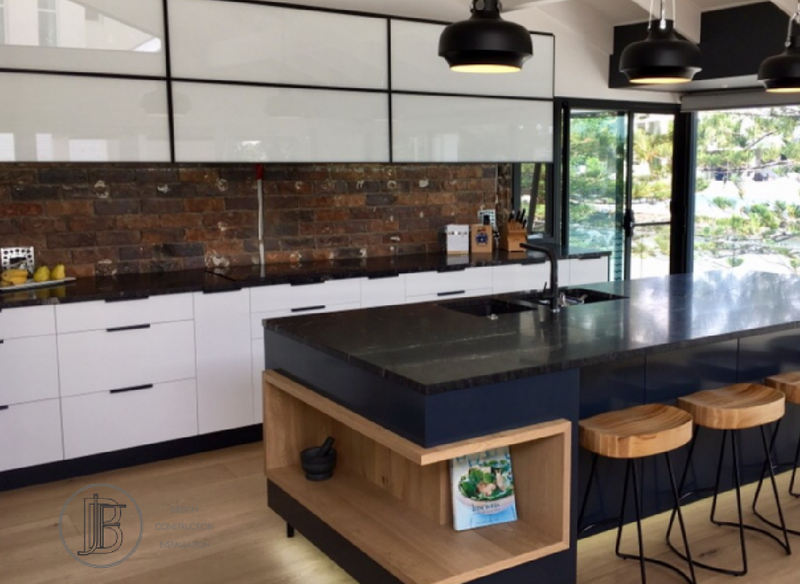 If you need help with your next kitchen renovation look no further than us at BJF. We have been servicing the Gold Coast community and would love to help. Get in touch to see what we can do for you. What is the most efficient design for a kitchen?